Just a small update, got the center section of my new cross member built, incorporated a 1 inch trans drop as well. Last edited by Domaas; 01-03-2012 at 11:22 PM. Sick jeep man and I'm really diggin the vw. My dad and I want to do a project like that! I have to say this is one sick build. Would you happen to have a sketch of those tube doors? That is almost exactly what I'm looking for in a tube door and would love to have some sketches and dimensions of what you have. No sketch for those..to busy..lol, drawn those on a napkin while eating a burrito, just mocked up one door(tacked in place) they fully weled and checked fit. then build the other door the same. Link to door build in fab section. Lots more to come, finish crossmember, build radius arm(long am) tire carrier, exo, roof rack, baja light bar(with 5 baja designs HID race lights..blah..blah..blah. your jeep is gonna be sick. im lovin the build so far. 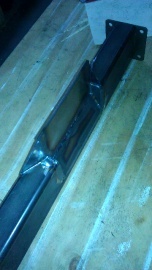 im tryin to dao the same thing but i have an extremely limited budget and not nearly as cool of tools as u do...lol. and im only 22 so ive never done anything like this before. 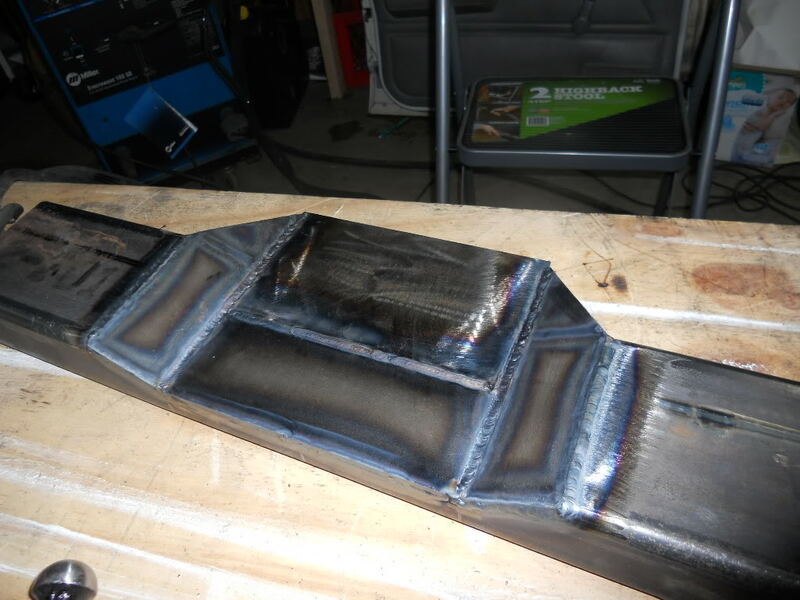 do u have any tips for a first time fabricator?? My budget is stupid small...I'm still under a grand so far..including the purchase of the jeep, looking to finish hopefully under 3 grand for everything.. As far as fab advice..feel free to pm me. nothing much new..lack of funds , had to put new shoes on my DD..boy.. those 20" wheels really looked good on the truck sitting in the stealership...but damn...are they proud of those tires or what! 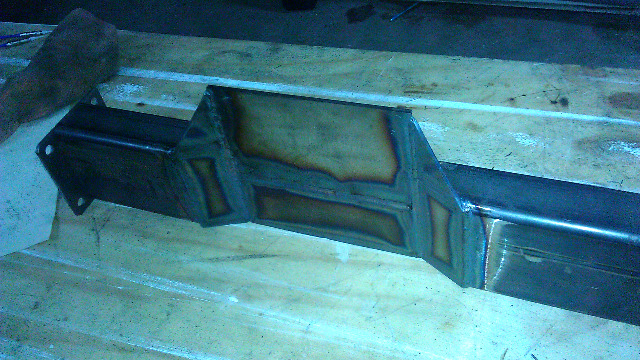 So..with that said...im gonna try and finsh welding up the crossmember this weekend. Also picked up another set of latches to build the rear doors, and the new latch for the rear tire carrier/ can rack. Nice looking build. Im subscribing! 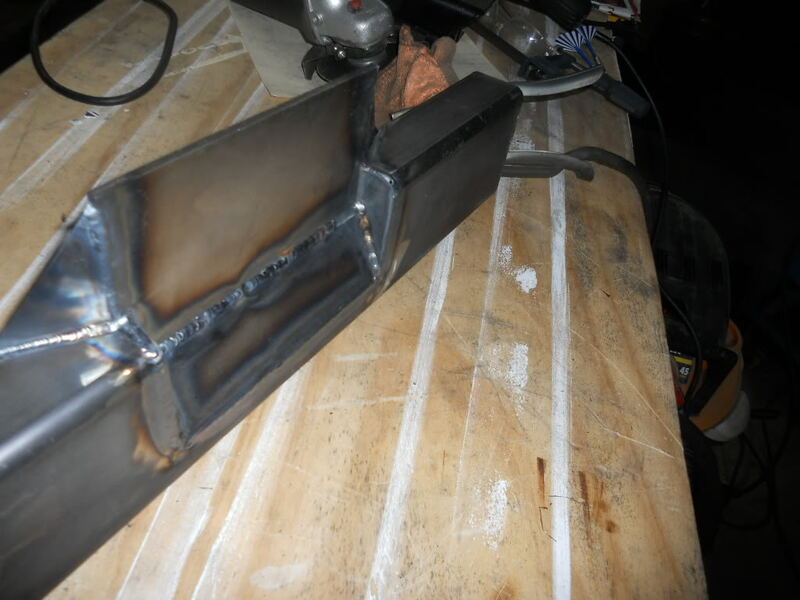 thanks fellas..shpuld be able to get out to the garage sun and get some welding done, maybe try and squeeze out to the steel supply tommorow(sat) and grab some tube for the rear doors? gotta throw in the new EGR and o2..so if all else fails i have a excuse to get something done.but not near as fun as playing with the bender!! Domaas, awesome work man, good stuff. So its off, the center section will have to be turned around for more shaft clearance...and have to wack out the exhaust and move the cat back....oh well. not everything will go as planned. hey bud, good to here from ya!Here in the garage working as i type..should be able to post the rear tire carrier, tube sides and rear tube doors by tomorow. Send me a email, and some pics of the hueys and cobras! Lets see that new Duc too!! BTW, your grad pics from Boot look good!